“Korliss Uecker, a bright and pretty American soprano, was charming, crystalline of voice and sparkling as an actress” noted a review in The Financial Times of London. Uecker has sung over 150 performances at the Metropolitan Opera, including Susanna in the Marriage of Figaro (international broadcast), Marzelline in Fidelio, Oscar in A Masked Ball, and Valencienne in The Merry Widow. She appeared in the The Elixir of Love with Lucianno Pavarotti and in Carmen with Placido Domingo. Other credits include Stella in A Streetcar Named Desire in Strasbourg, France; Sybil in the Picture of Dorian Gray with Opera de Monte Carlo; the Wexford Festival, Santa Fe Opera, Hawaii Opera Theater, Opera Caracas, Glimmerglass Opera, Washington National Opera Kennedy Center, Pittsburgh Opera, the Spoleto Festival, the Ravinia Festival, the Tanglewood Festival, the United States Naval Academy and the Library of Congress. Korliss has appeared as a soloist with many symphony orchestras including the St. Paul Chamber Orchestra, Philadelphia Orchestra and the American Symphony Orchestra, including conductors James Levine, Donald Runnicles, Sir Andrew Davis, Wolfgang Sawallisch, Vladimir Jurowski , Edo de Waart , Julius Rudel and Gerard Schwarz. An advocate of contemporary music, Ms. Uecker has premiered works of Lowell Lieberman, Dominick Argento, Seymour Barab, Juliana Hall, John Corigliano, Judith Wier and Andre Previn. Ms. Uecker appeared in Dallas Opera’s Valentino by Dominick Argento and sang Florent Schmitt’s Psalm 47 with American Symphony Orchestra under the baton of Leon Botstein. She also worked with Gian Carlo Menotti singing Amelia in Amelia Goes to the Ball. In chamber music, Uecker has appeared at the Kneisel Hall Chamber Music Festival, the Academy of Music Festival and the Lyric Chamber Music Society of New York among others. She is a member of Feminine Musique, a Duo dedicated to the performance of music by women composers as well as traditional duet literature. Her cabaret performances include appearances at the Cafe Carlyle and Poisson Rouge. Ms Uecker has recorded for Deutsche Grammophon, London Decca, Arabesque Records, and recorded Victor Herbert’s Babes in Toyland at Abbey Road Studios in London. Her most recent recording with New World Records features the songs of Victor Herbert. She recorded unpublished songs of Clara Schumann to much acclaim on Arabesque Records. She recently recorded the soundtrack to the movie, Influence, directed by Michael Bergman. She has appeared on CBS Sunday Morning and Live from Lincoln Center with Thomas Hampson. 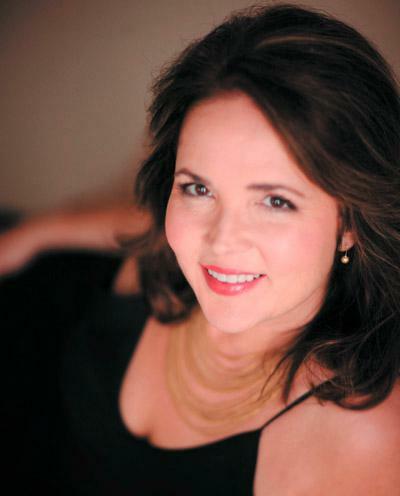 In addition to her singing career, Ms Uecker is frequently engaged as a Master Class teacher, adjudicator, and lecturer with such institutions as the Manhattan School of Music, the Metropolitan Opera Auditions and Columbia University. She also was a consultant for Emerald City Young Artist Program. In the Summer 2017 she will join the faculty at the Collaborative Piano Institute and will give Master Classes at the Minnesota Opera Summer Camp. Korliss earned her Bachelor’s and Master’s degrees from the Juilliard School. She also studied at the Steans Institute and apprenticed at the Santa Fe Opera and Tanglewood Festival. She received a Bachelor of Arts and a Bachelor of Science from the University of North Dakota and was a registered nurse before she began her singing career. Her husband Jerry Grossman is principal cellist of the Metropolitan Opera Orchestra. © 2019 by Korliss Uecker. All rights reserved.